Not many by now haven’t heard about the Makeup Revolution literally storming the UK market with elaborate copies of some of the most coveted make brands around. It’s amazingly cheap but is it throw away make up or is it a keeper? Well I have found Makeup Revolution are really getting the formulation bang on right in their eye shadow formulations and their baked eye shadows are no exception! A huge part of me wanted to say they don’t last and they are a waste of time but I would have been lying and very wrong indeed! I have a pet hate of anything chalky and it goes straight in the bin but no chalky here… just lovely refined blend-able eye shadows! Right now I am all for Spring appearing, have had enough of the rain and the cold and long for something bright and refreshing and this baked palette has done just that for me. They are a baked mousse/cream formulations and are some of the best I have tried! 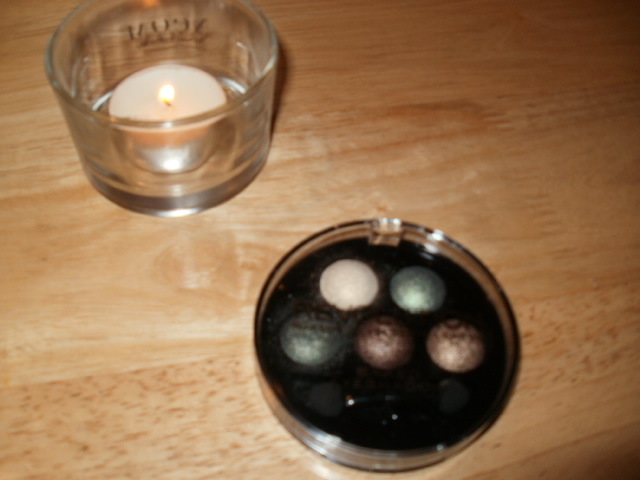 The palette is have used is Beyond Eden, unfortunately there is no shade guide but they are a mix of muted spring greens and taupe/minky and creamy coloured, velvety eye shadows that you only have to touch to get good colour pay off and a lovely satin finish. 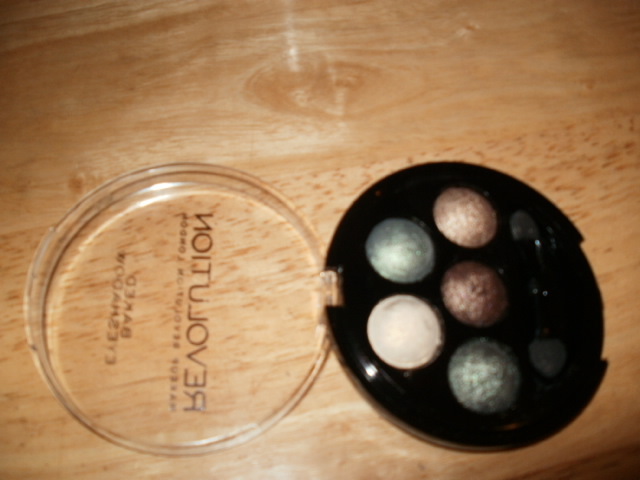 Highly pigmented they blend really well, give a fabulous finish. I forgot to use a primer and 6 hours later the colours were still there and going strong, they have stayed where I put them.. Being 45 they did not crinkle or go into lines on my eyes even though my eyes are somewhat hooded now. I simply cannot fault them really and believe my I have tried!! They are velvety smooth and a dream to use and work with and the unbelievable thing is .. they cost £2.50 … :-). I guess I am a big make up snob at times but when you get a formulation as good as this, it’s not to be snuffed at .. no sireee Bob! There is just no way I would say this if I did not honestly believe it and the Makeup Revolution eye shadow formulations are a winner for me! Now I will have to try some of the powder blushes and contour palettes next to see if they stand up to these amazing eye shadows. I do hope so because I have been eye balling them for a while now and if the quality is there like in this palette I will be one very happy girl indeed as they do look stunning! 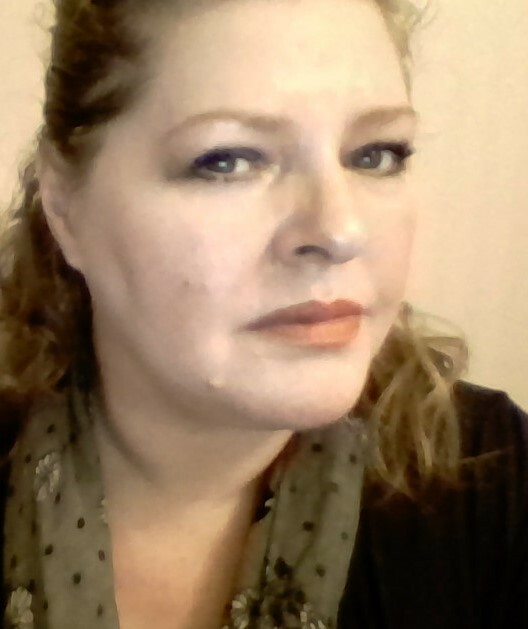 This entry was posted in Beauty, Cosmetic, Cosmetics, Health and Beauty, Makeup and tagged Baked eye shadow, Baked Eyeshadows, Beyond Eden, highly pigmented, Makeup Revolution, Velvety on January 26, 2015 by the40somethingbeautyblogger. 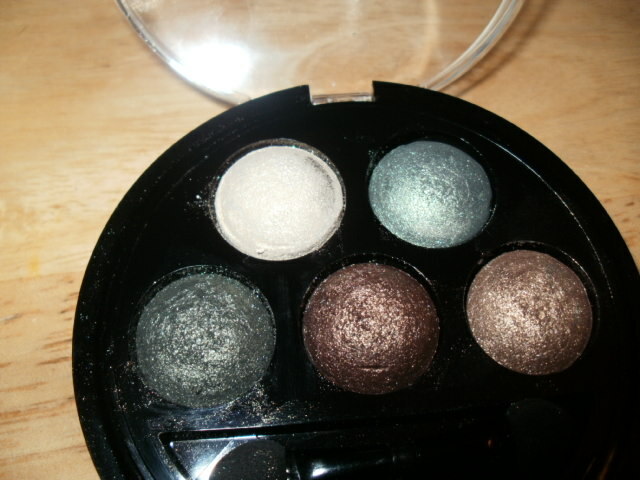 These eyeshadows are so gorgeous! I haven’t tried any of their products yet, but I hear so much about that brand! Beautiful!! This is a lovely palette, and these colors look great on you.